One thing I want to make clear for people to consider and act accordingly is the fact that being physically challenged is not equal to the absence of sexual libido. Besides, I want to know how we all can solve the situation of disabled women and their desire for love partners because several women who are well-fit physically are finding it difficult to even locate their rib owners not compare to those who lack something physically one way or the other. Dejectedly, a group of physically challenged women has disclosed how Ghanaian men are refusing to approach them for marriage or even for a date. 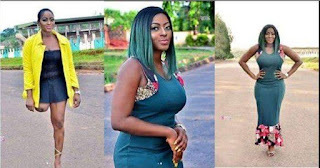 This disabled energetic young women who pleaded anonymity told an online media on how they have been left to their fate because of their conditions as no man wants to date nor marry them. Their main regret was base on how Ghanaians are being mean towards them as it appeared that no one wants to mingle with them. Speaking on their situation and their desire, the group revealed that they have sexual feeling in their blood and wish to settle down and have babies. They said: “… we have been left to our fate because we are physically challenged. Ghanaian men are not approaching us for a date nor marry us. In a more shocking and worse situation, they further added that their own families members have also left them.